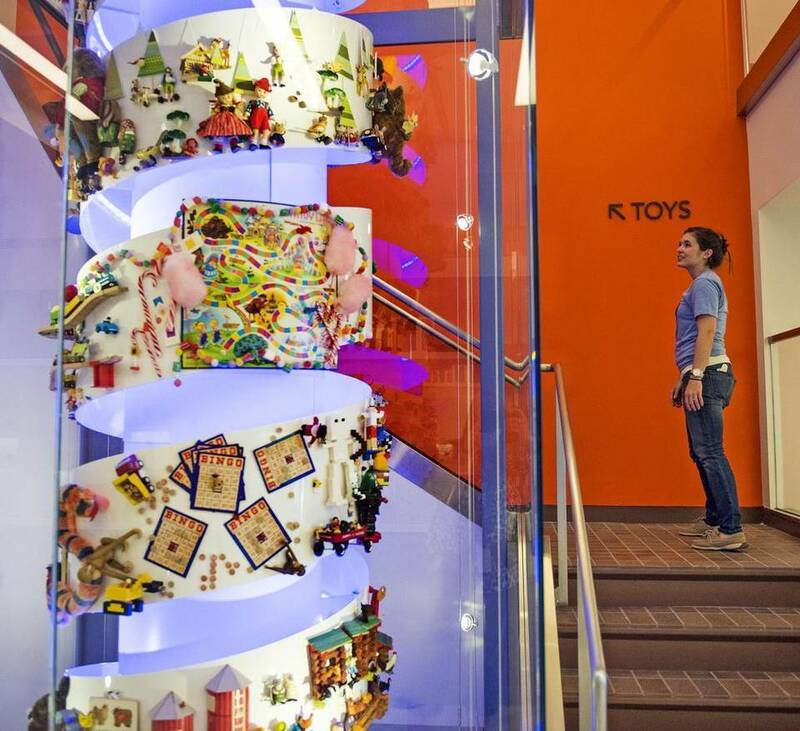 The National Toy and Miniature Museum (T/m) on the campus of the University of Missouri-Kansas City has just reopened to great acclaim following an 18-month, $8 million renovation. With more than 72,000 objects in its holdings, the T/m Museum is a microcosm of our world in the truest sense. It’s a place to marvel at fine-scale miniatures ranging from 1:12 to a staggering 1:48 scale, tap into our inner-child through the toys of our youth, and be reminded of the role of playthings as instructional devices to prompt curiosity and prepare young people for the future. The Museum opened 33 years ago thanks to the vision of two Kansas City collectors and philanthropists. In the newly reinstalled galleries, visitors can experience the collections in new ways: x-ray historic toys like Betsy-Wetsy to learn how they are made, discover the process of making miniature maiolica pottery (spoiler alert—it’s exactly the same, but on a small scale) and more. Explore online at toyandminiaturemuseum.org or visit 10-4 any day except Tuesday. Located at 5235 Oak St, just one mile from the Nelson-Atkins Museum of Art, the T/m Museum has ample free parking right in front. 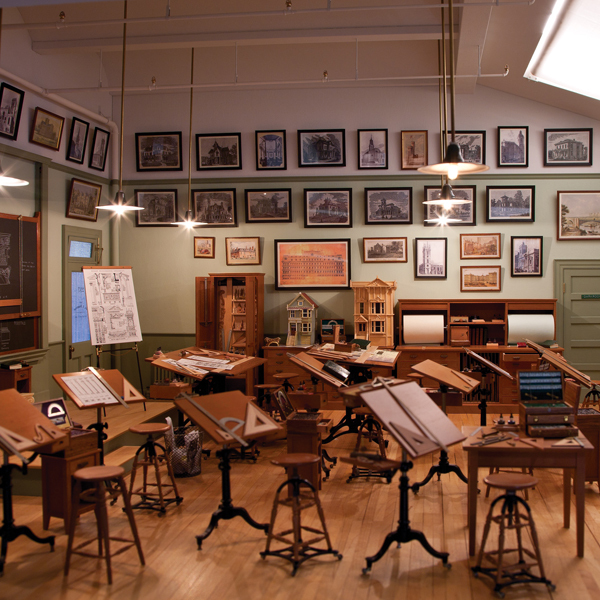 A few fan favorites (at least for this fan) are the miniature architecture classroom, the optical toys, and of course, countless clay objects. The gallery of micro-curiosities showcases the Museum’s smallest objects: a painting of a panda on a grain of rice, for example, and this ceramic chair fit for a flea. Here’s a photo of the chair as seen from outside the microscope, and by holding my iphone camera up to the eye-piece. Toy tea sets became fashionable in the mid-to-late 1800s, which coincided with technological and scientific advances in porcelain production. The T/m blog notes that the lack of documentation for these play objects make it hard to determine their origins. This yellow-glazed earthenware set, however, is marked “Montereau” and “LL” confirming its association with a Montereau pottery shop in the Oise region of France. Among the most mesmerizing dolls in the collection are the “automotons”, dolls brought to life through a key-wound clockwork mechanism. At once haunting and hilarious, these dolls feature delicate porcelain or bisque heads which contrasted with their rather slow, not-so-smooth movements. Patented in 1878 by E. Martin, the T/m blog notes, the swimming doll pictured here and named “Undine” according to the patent, performed the breaststroke, likely for the amusement of adults at social gatherings. Her body was made of wood and cork to counterbalance the heavy porcelain head and allow her to float. Miniature interpretations of extraordinary ceramic works throughout art history are impressive feats, from these Talavera-inspired tibores made by Frank Hanley and Jeffrey Guéno of Le Chateau Interiors, to these Native American pots by Teresa Wildflower, to Lee-Ann Chellis Wessel’s Renaissance maiolica masterpieces (to say nothing of her miniature egg tempera Renaissance paintings). 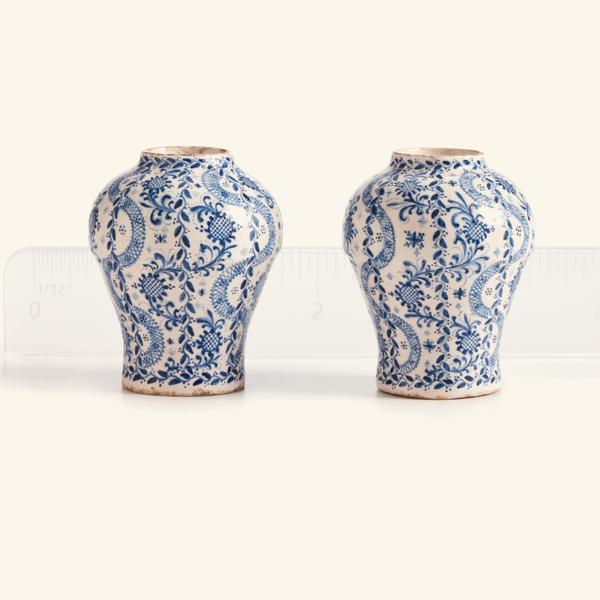 Chellis Wessel faithfully employs the maiolica process down to every detail. All photos from toyandminiaturemuseum.org, pitch.com, and kansascity.com.